Let’s not forget about the border wall either! The commentary side of the SOTN platform has offered multiple explanations for the geoengineering and intentional aiming of Hurricane Harvey at East Texas. All of those very real consequences remain as true today as they did when they were proffered in the aftermath of HARVEY. When the magnitude and severity of a weather invasion is as great as Hurricane Harvey, there are always multiple reasons for waging the obvious weather war. Determining the priority of those goals accomplished by the NWO cabal will, nevertheless, require the passage of time to properly tease out. KEY POINT: There are many wars — military and political, financial and economic — going on right now across the planet; however, the never-ending banker’s war that uses both weather warfare and environmental terrorism are by far the most highly consequential. See World Wars I and II as examples of exactly what the international banksters will do to jumpstart their perpetual war economy. In 2017, the state of the Global Economic & Financial System is such that the snake of predatory capitalism is now eating its own head. 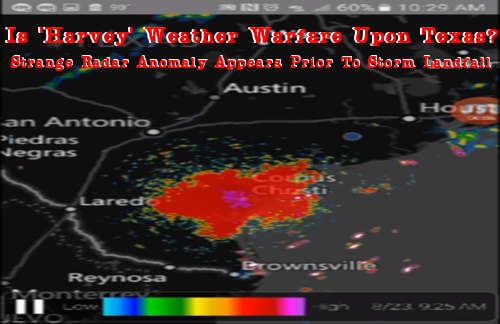 Therefore, the ongoing weather warfare is much more fast and furious as the geoengineered HARVEY superstorm has demonstrated. Among all of the objectives behind the HARVEY assault, it’s now evident that an immediate goal was to compel President Trump to raise the debt ceiling and avoid a government shutdown. The following two articles were published by CNBC, a major mouthpiece for bankster powerhouse Goldman Sachs. The first one indicates a 50% chance of a government shutdown on August 18th. The second post emphasizes that the threat of a shutdown had lowered to 35% after HARVEY hit its target dead on—>Houston. Wow, with that opening gambit by Team Trump, one wonders what the ensuing moves will be! The New York Times just published a piece that basically makes a case for the direct relationship between the widespread and serious HARVEY damage and the urgent need to increase the debt ceiling. In view of the utter devastation to the Texas coastline, it’s fair to say that the promised border wall is no longer on Trumps “To Do” list. How could it be when the need to rebuild East Texas is so demanding and urgent? The extraordinary challenges facing a large number of Texans basically compels the POTUS to take the wall off his priority list. Just as the NWO globalists sought. 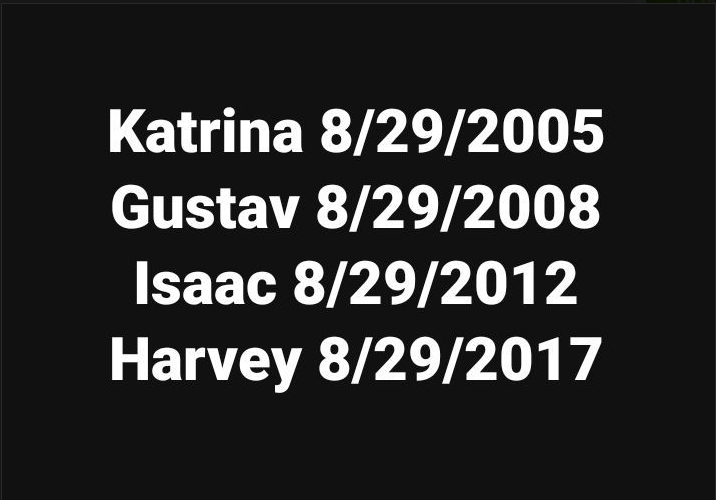 How convenient for the banksters that HARVEY ravaged a critical border state. Not only that, but the politicos will definitely not let this disaster go to waste. Just watch all the political posturing beginning after Labor Day … most of which will be conducted on behalf of the banksters. The international banksters have a LOT of money. They have access to practically unlimited financial resources. They can pay for geoengineers to fabricate a superstorm and steer it into any coastline they want to. Targeting New York City, like they did with Superstorm Sandy in October of 2012, is a cinch for these geoengineering crackerjacks. In light of this ongoing predicament, whereby weather warfare can be used against any city or state, country or continent, it’s high time to stop the weather war crimes. Perhaps the people of Texas will lead the charge? Will Texas use the Hurricane Harvey attack to shut down geoengineering? As Commander-in-Chief, President Trump has the highest authority over the nation’s skies. What will it take for him to terminate the chemtrails as well as other forms of weather manipulation and climate engineering? Would he act decisively if the geoengineers hit Trump Tower in NYC or Mar-a-Lago in Palm Beach dead on? Let’s hope the perps won’t get that far. And, that he closes down Operation Indigo Skyfold before it does more damage to the USA, and beyond. Is The New York Times telegraphing the true reasons behind the geoengineered superstorm HARVEY?